When news came last October that the new calf born to the Southern Resident Killer Whales had died, it was a huge blow for this population of whales. Then, just a month later Southern Residents lost another whale: J32 Rhapsody. Rhapsody whom many had suspected of being pregnant was given a ritual smudge ceremony prior a necropsy which confirmed she'd died with a full-term fetus in utero. Her death leaves only 77 members of the Southern Resident Community. With this tragic news, the restoration of salmon for this dwindling population of revered and iconic whales becomes imperative. A new study revealed that the west coast's Chinook salmon stock could be wiped out over the next 85 years because of climate change. In fact, this population of orcas will not survive if the salmon population continues to dwindle. Now, with Rhapsody's loss, the threat to this population could not be more dire. As heartbreaking as it is to lose these individuals, the four deaths in 2014 of Southern Residents mark a powerfully disturbing trend. The calf's death - and now the loss of a pregnant adult female at the start of her reproductive life - at this critical juncture in time could signify the entire whale clan's imminent extinction. The deceased calf was just seven weeks old when The Center for Whale Research on San Juan Island confirmed the death on October 20, 2014. This was the only calf born to the Southern Residents since 2012. The newborn's mother is a 26-year-old member of L pod, known as L86, who'd already lost a calf. In February 2012, her second calf, a "3-year-old female L112, washed up at Long Beach, Washington with indications of death by severe acoustic trauma," according to the release. Now, two of her three babies have died. This kind of ratio - a low birth rate to high death toll - could spell catastrophe in the real life of the Southern Residents. 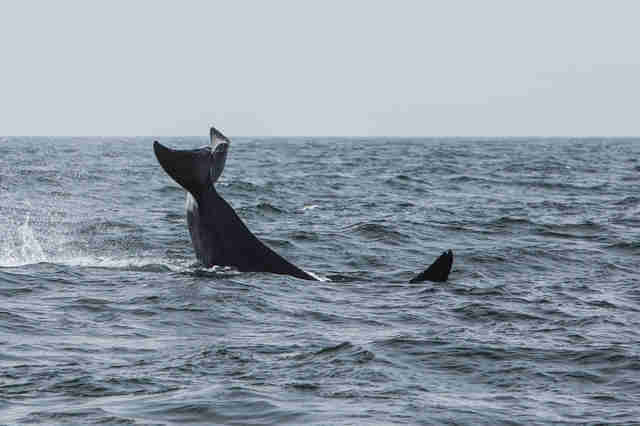 Shortly after L120 was confirmed lost, Ken Balcomb of The Center for Whale Research said that "to be healthy the southern resident pods need to produce four or five babies a year." He believes a lack of salmon for the orca to eat is weakening the animals, and if salmon numbers don't improve, the orcas could be in serious trouble. No Southern Resident calf has survived since 2012, a troubling fact underscored by L120's death. Furthermore, with three adults lost this year alone (Lulu, Indigo and, now, Rhapsody) and nine additional whales lost from 2011-2013, according to Colleen Weiler, a Fellow with Whale and Dolphin Conservation, the numbers "are not going in the right direction." Since 2011, the Southern Residents have gone from 89 to 77 members. You can find data on the losses at Orca Network's demographic's page. Dr. Jeff Ventre - a spokesperson for Voice of the Orcas, former orca trainer at SeaWorld and cast member of the powerful documentary "Blackfish" - now publishes research on the impacts of captivity on whale survivorship. In response to the news, Ventre told The Dodo that, "The death of this calf (and now Rhapsody) is a stark reminder of how critical it is to restore wild salmon populations because research has demonstrated that reduced prey availability, the number one threat to the Southern Residents, causes nutritional stress and has been associated with high rates of miscarriage." Howard Garrett, co-director of Orca Network, put it like this: "The death of L120, and the absence of any surviving calves for two and half years, is like watching an entire unique cultural community of orcas fall slowly off a cliff. It's past time for debating about uncertainty and interpretations. If this doesn't rivet public attention on restoration of watershed habitat for Chinook salmon and protection of all available Chinook starting now, we'll soon be watching them all disappear." Salmon restoration is everything to the Southern Residents. Without an adequate food source, there's simply no way to recover the population. Regulating acoustic traumas from boats and toxic pollution are both crucial for the pod, but without food, those problems become secondary. Adequate food supply underpins recovery for the Southern Residents, especially now. Weiler, for instance,told The Dodo about the new campaign: "Don't Let Orcas Be Dammed." Whale and Dolphin Conservation makes a point to thank PacifiCorp "for making the right choice to remove four of its dams along the Klamath River," and urges the public to sign a letter of support to urge PacifiCorp "to continue to push Congress to pass the Klamath Basin Water Recovery and Economic Restoration Act, which approves and helps fund the dam removal project." "The whales may be more affected by a loss of available prey in their winter range (which includes the Klamath). Food stress also causes the orcas to burn through fat reserves that contain stored bio-contaminants, which can be transferred to offspring. With our Klamath Dam campaign, we are hoping to show how important an abundant prey resource is to the Southern Residents, especially in their winter range." Save Our Wild Salmon is an organization working to encourage dam removal in the Columbia and Snake River Basin, a strategic area of critical importance for Pacific Northwest salmon recovery. "In the time of Lewis and Clark up to 16 million wild salmon returned each year. Today, as few as ten thousand salmon return home to the Snake River ... By partially removing four dams on the lower Snake River we can restore the Pacific Northwest's wild salmon and free-flowing rivers as vital economic engines for local communities,"SOS explains on their website. Meanwhile, communities across the Pacific Northwest are gathering to stand down the potential for catastrophic loss, of both the salmon and orca. You can see it in workshops and seminars convened around the region - from San Juan Island, to Vancouver B.C., to the University of Idaho - that feature the crucial links between salmon and orca recovery. Jeff Friedman, an orca advocate, said "There were no arguments or discussions around any issues other than salmon recovery ... It seems everyone is in agreement that the salmon issue is everything, and any other issues are being put on the back burner." 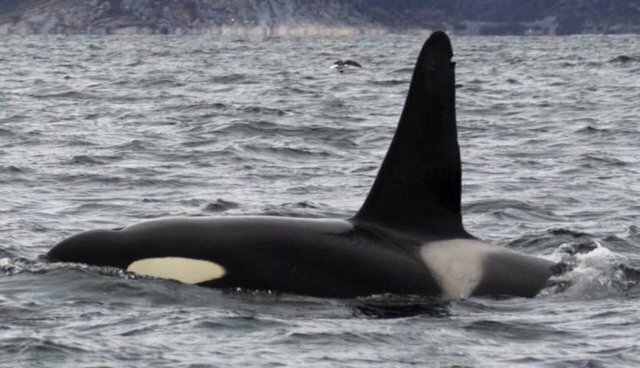 Dr. Chris Caudill, assistant professor and project leader for the Fish Ecology Research Lab at the University of Idaho, told The Dodo, "Recovery of the Southern Resident Killer Whales will require that daughters survive to have at least one daughter who is also a mother. Low salmon abundance, particularly of Chinook salmon, contributes to the stressors experienced by whales, including during the calving period. Increased salmon abundance can only benefit whales, ease the effects of other stressors and increase the probability of recovery." Finally, any discussion of the potential for imminent extinction of the Southern Resident Killer Whales would be remiss without a reminder of the heavy toll that SeaWorld and the capture era had on the whale clan's initial catastrophic losses. In his recent guest blog for WDC called SeaWorld's Lasting Impact, Ventre offers a scathing but powerful call for SeaWorld to stop turning a blind eye on their own involvement in the Southern Residents' population losses, and instead, turn towards a deep level of corporate involvement in working to save this wild population of whales that they've so violently impacted. "SeaWorld has an opportunity to help increase salmon for the Southern Resident killer whales; a chance for a karmic pay back, per se. It could use its influence to aid salmon recovery efforts in California, Oregon, and Washington. 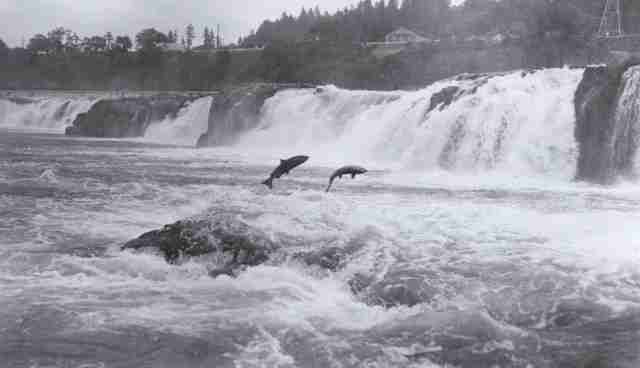 Political leaders could be encouraged, by SeaWorld, to vote for the removal of unnecessary dams that block salmon migratory pathways far inland. As an example, The Elwha River Restoration Project has been both a great success and one of the most heart-warming environmental stories in decades. The corporation could develop true educational shows that reach out and activate millions of guests to 'save the whales.' It could teach children water conservation steps and adults how to reduce the use of pesticides and lawn products which contaminate waterways and hurt fish." SeaWorld could institute a new business model that helps recover the wild whale population that struggles to this day as a result of the capture era. SeaWorld has the chance, right now, to shift their strategy. With the news of Rhapsody's loss, nothing could be more important to these whales.